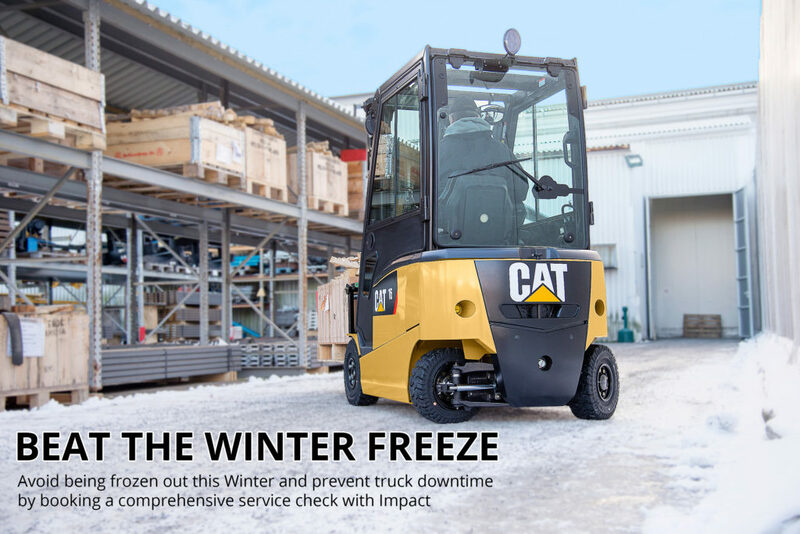 As the nights are drawing closer, so does the change in temperature and weather conditions that may affect the reliability and operation of forklift trucks and warehouse equipment. Extreme weather, particularly snow and ice, often result in key operating components taking a beating. These risks are often overlooked, leaving companies equipment open to potential problems when they may be at their busiest. Impact’s thorough 10-point Winter check ensures the risks posed by extreme weather conditions are kept to a minimum, resulting in safer and more economical materials handling equipment. Our local Service Engineer will examine your forklift from head to toe, ensuring it is up to scratch, so you can maximise productivity.